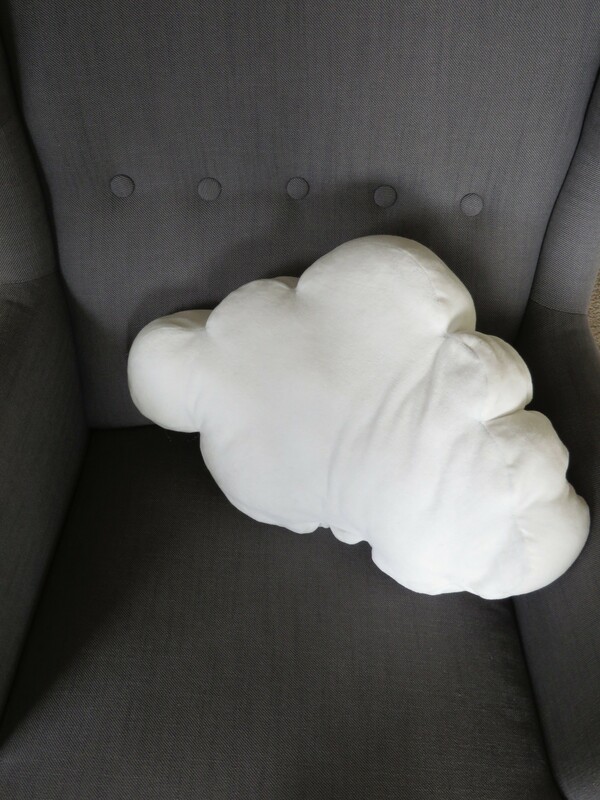 Draw a large cloud shape on scrap paper (mine was composed of circles of various sizes. Cut out, the place on top of your white cloth, folded in half so the fabric is doubled underneath the cut-out. Trace the shape onto the cloth, pinning the layers together as needed, and add seam allowance. Notch the rounded edges and cut small chunks from the inverted points so that the extra fabric doesn't bunch up once the pillow is inside-out. Cut a long strip of fabric of the width (desired thickness of pillow + 2(seam allowance)). The length can be measured to be perfect, if you so desire, or just kind of eyed. Either way, cut it longer than you imagine you'll need. Pin one side of the long strip around one cloud piece, right sides together. Sew around, but don't cut the excess fabric from the long piece yet. Repeat on the other side. There should now be a gap in the long strip, possibly with excess material, but both sides of the pillow should be sewn. Turn inside out and stuff pillow with poly-fill. Cut excess fabric and hand-sew the gap shut, using an invisible stitch. You're done! 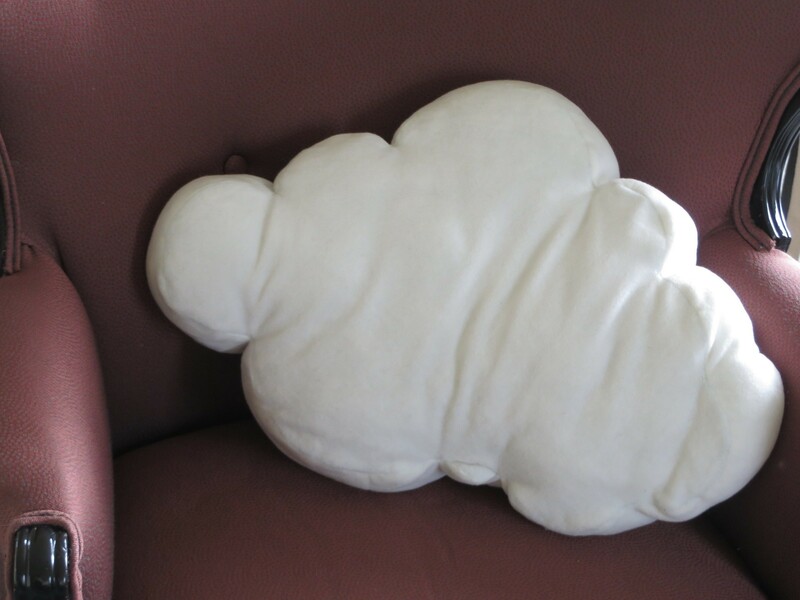 Enjoy the rockin' cloud pillow! You definitely could! I didn't because my fabric wouldn't fray, but if yours would, hemming it might be smart! hi, just wondering if u hemmed the pieces before u sewed them together?